Jesus came to Cana in Galilee where he turned the water in the six large water pots into wine. There lived a nobleman in Capernaum in Galilee. He had a son who has a high fever. The boy was very ill at the point of death. When he heard that Jesus had come out of Judea and was in Galilee, he came down to the place where Jesus was. 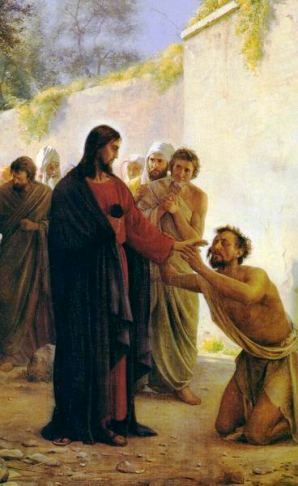 He begged Jesus to come down to Capernaum and heal his son. Jesus said, “Go home. Your son is healed.” The nobleman believed what Jesus said that his son is already healed. When the nobleman reached his home at Capernaum, his servant came out to meet him. Then the nobleman remembered that it was at that very moment that Jesus told him that his son is healed. And so his household came to believe in Jesus. This is the second miracle that Jesus did in Galilee since the miracle of turning water into wine at the marriage in Cana.